Haitian coffee is ideally suited to make a rich, chocolaty cold brewed coffee with low acidity and malty flavors. Cold brewed #Haitiancoffee carries notes of cherry chocolate, with a smooth, Guinness-like sensation and a lower acidity than traditional iced coffee. 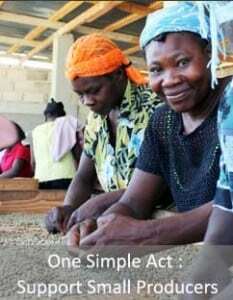 Plus, you get the satisfaction of employing Haiti’s small producers. Listen: cold brew is WORTH the time. Plus, the slow release caffeinated kick is awesome! 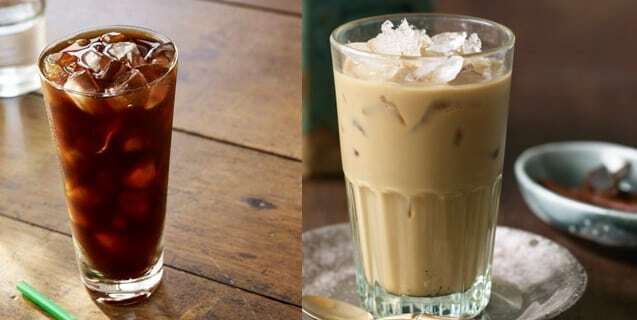 It’s less acidic and more tasty vs. iced coffee (pouring hot coffee over ice). It’s the lengthy extraction (10-24 hours) with room temperature water that makes it so yummy. The ratio of coffee to water is subjective and depends on personal taste. We like 1 cup of ground coffee to 1 cup of water. Remember, this is super concentrated, so you’ll mix w/ water or milk when you drink it. Have a gallon container that fits in the frige? Cold brew lasts for up to two weeks, so go for it if you have the space. Grind beans coarsely. If you only have medium ground coffee – it’ll work. You may need to filter twice — but do know: muddy looking brew is tasty! Mix well (stir your French press w/ a wooden spoon. 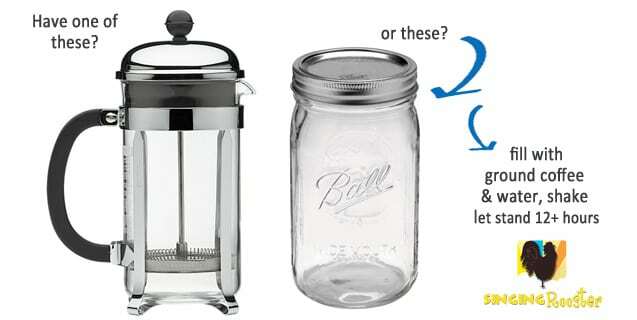 If you’re using a mason jar – close tight & shake). Let water + coffee set on the counter for 18-24 hours (you’ll find the sweet spot). French Press: if your coffee was coarsely ground, simply use your press. 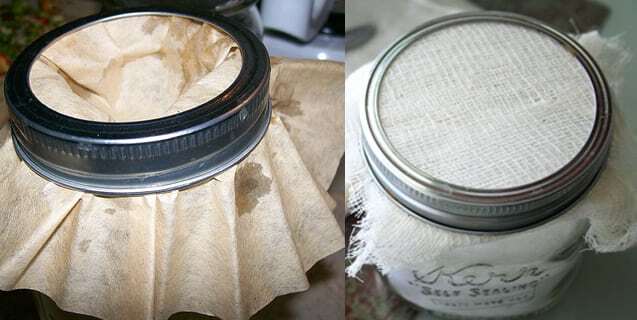 Mason Jar or other container: a cheese cloth works great as does a normal coffee filter. What’s your favorite #haitiancoffee recipe?